To me, mercy means unconditional compassion and kindness. My grandmother taught me the importance of the Golden Rule: Do unto others as you would have them do unto you. Being a new mom, I continually count my blessings to have a healthy baby, food on our table, and a roof over our heads. I give to Mercy Housing to help others who are also raising a family and need a warm, safe place to put their baby to bed. Although my son is too young to understand the Golden Rule, it’s never too early for me to guide him by example. 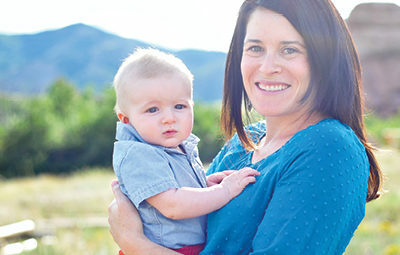 Michelle Lackore is a corporate event planner, mother of two (her one-year-old son, Owen, and her “fur son,” Baxter), wife, creative enthusiast, adventurer, and Colorado native. In addition to donating to Mercy Housing, she shows her support by participating as a member of Mercy Housing’s relay team for the Colfax Marathon!